In the 1870s, Mosman Anglicans were parishioners of St Thomas’s, North Sydney. Then in 1887, Mosman Anglicans became parishioners of the newly established St Augustine’s, Neutral Bay. 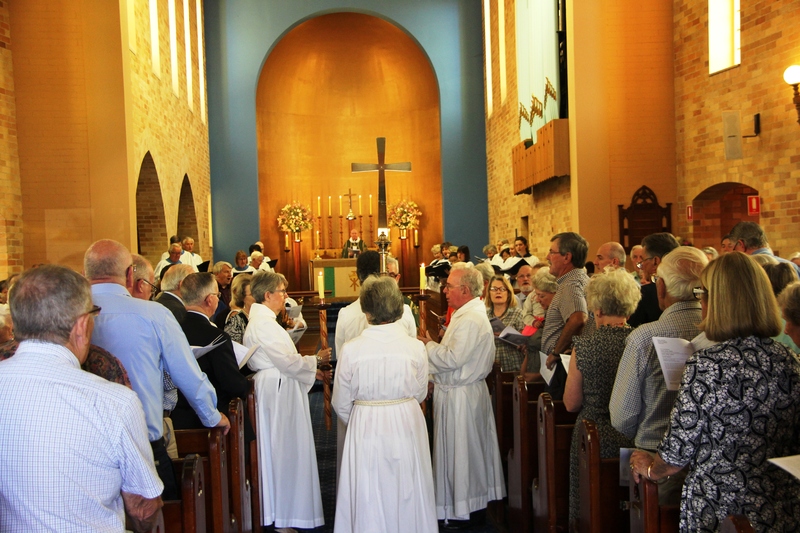 Then, in 1889, they became parishioners of the even newer St Clement’s, Mosman. In the 1890s support grew for a second Anglican church in Mosman “for members of the Church of England living in the vicinity of the Spit Junction”. Monthly Sunday afternoon services were held what is now Macpherson Street. Then in 1896, a block of land was purchased in Bond Street in “the Rosebery Estate” and a small, unlined weatherboard church, the first St Luke's was built A branch church of St Clement's, St Luke's was dedicated on 10 January, 1897. St Luke's became a separate parish on 23 February 1909 when Frederick William Reeve was inducted by Archbishop Saumarez Smith as St Luke’s first Rector. In 1910 the second St Luke's was built in Heydon Street. In 1958 the present and third St Luke's designed by Professor Leslie Wilkinson was dedicated by Archbishop Mowll.